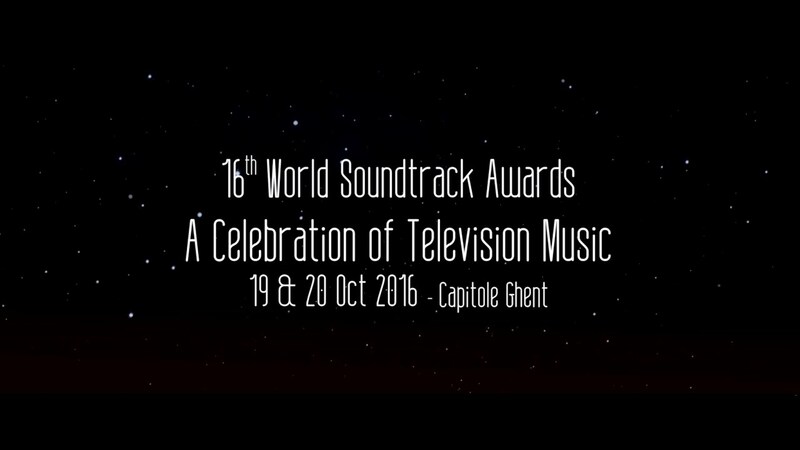 Film Fest Gent announces full program for the 16th World Soundtrack Awards which will showcase the music composed for today’s top television shows and for legendary series from our youth, live performed by Brussels Philharmonic and the Flemish Radio Choir conducted by maestro Dirk Brossé. The new titles of the concert program of the World Soundtrack Awards Gala on Wednesday October 19th include the music of Dr.Who by Murray Gold, Mad Men by David Carbonara, The White Queen by John Lunn, Upstairs, Downstairs by Daniel Pemberton. The concert comprises also the world première of the score for the brand new series Roots by Alex Heffes. Also covered is the score for the British miniseries Parade’s End, composed by maestro Dirk Brossé who will again conduct the Brussels Philharmonic and the Flemish Radio Choir. As always the music will be accompanied by film clips projected on the big screen. Previously announced were scores from Fargo (Jeff Russo), Homeland (Sean Callery), House of Cards (Jeff Beal), Sherlock (David Arnold), The Leftovers (Max Richter). Several composers will make their way to the stage of the Ghent Capitole for what is often the first live rendition of their scores in front of an audience. The World Soundtrack Awards Gala will also feature the Award Ceremony during which Japanese all-round musical talent Ryuichi Sakamoto will receive a Lifetime Achievement Award for his innovative work as a film composer. Of course a selection of his greatest work will be performed: his famous compositions for Nagisa Oshima’s Merry Christmas, Mr.Lawrence, Bernardo Bertolucci’s The Last Emperor and Brian De Palma’s Snake Eyes. The following day, October 20th, the WSA Concert will skip the Award Ceremony but reprise the concert of the best scores for contemporary TV-series. An additional program looks back at the thrilling scores and tunes of legendary series from our youth, from cult-hits to award-winning masterpieces. The sixties and the seventies will be covered by Jerry Goldsmith’s music for The Man From U.N.C.L.E. and Doctor Kildare, Alexander Courage’s rousing theme fort he original TV-series Star Trek, Bill Conti’s Dynasty, Lalo Schifrin’s Mission Impossible and the seldom performed Ennio Morricone score for the miniseries Moses. The nineties are presented by Angelo Badalamenti’s mesmerising music for David Lynch’s Twin Peaks and Ryuichi Sakamoto’s score for the Oliver Stone produced miniseries Wild Palms.